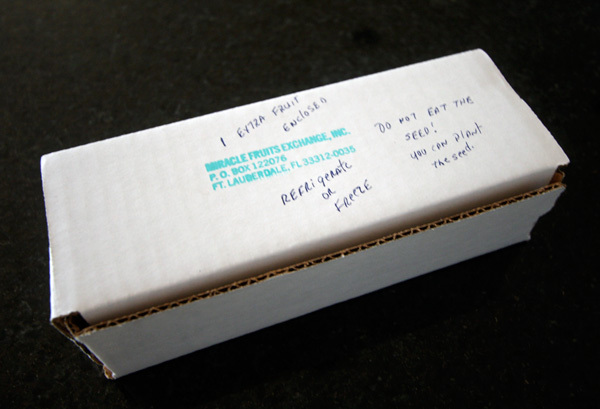 The box and some info about the Miracle Fruit came in a USPS Envelope. You have about 24-48 hours to consume/freeze these before they go bad. 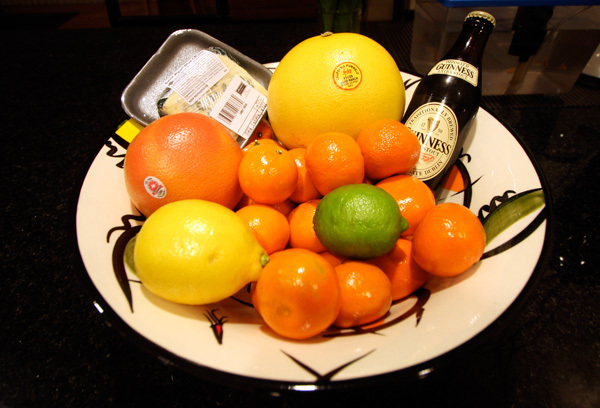 So i picked up some of the recommended pairings to test with… Lime, Lemon, Grapefruit, Pomelo, Blue Cheese, Guinness… and had some of the super sour chinese sweet/sour/bitter /salty preserved mandarin peel. 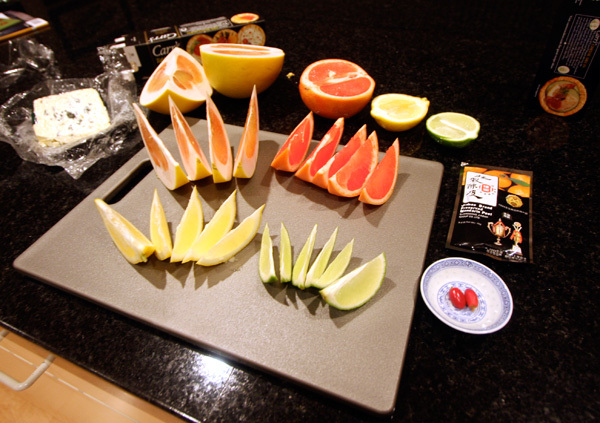 Sliced up the fruit, and figured i’d try a bit of everything BEFORE so i could tell there was a difference after. Guinness was delicious, blue cheese on crackers not bad…. and then i grabbed the lime. UGH. 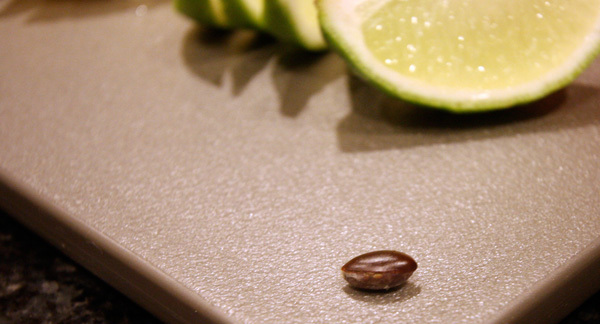 Apparently i haven’t bit into a slice of lime without a shot of tequila preceding it… ever? First impression ~ confusing. You still SMELL everything as it was/is. Although already weary from the first lime experience, i went for it anyways about a minute after sucking the seed clean… and it was like eating limeade. It was confusing really, my sense/mind didn’t quite get what was going on. Then i went for the lemon, and it really did taste like lemonade! Then the grapefruit, which was already pretty sweet… and what little sourness it did have was gone, it was sweeter/waterier tasting. The bitter bits of the pomelo became rather enjoyable! The blue cheese - i think the hardest part here was that it smelled the same - it tasted like a far milder form of itself, almost more like brie with small chunks of blue cheese in it. The chinese mandarin peels… it was not the pseudo-medicinal taste i despised as a kid, but tasted more like candied peels sans crunchy sugary bits on the outside! Very weird. As for the Guinness ~ as someone who likes Guinness ~ i must say do NOT waste your Guinness like this… it was so gross. I can’t quite explain it, it wasn’t like it became apple cider… more just like bad beer. blech. The effects lasted about 20-25 minutes for me before a lick of the lime made me make faces again. There is no coating you feel on your tongue, mouth, etc. You eat it, and it just kind of does its thing. I made my mom come try one, and her reaction? She dislikes the feeling that your senses are being messed with. And if you’re going to ingest something to mess with you, it should be more fun/exciting of a headtrip. Also, if you’re trying to diet with this, why not just try to actually restrain yourself, instead of finding a loophole around sugar? Bottom line? Bizarre. I can certainly see why the African tribes like eating it before bitter medicines. Certainly worth experiencing, and while I do feel like it could have been a bit more emotionally satisfying, its really quite bizarre to have your tastebuds messed with so easily. Definitely a fun crazy party food experiment that will leave guests with that look of surprised bewilderment ~ and the ingredients are cheap! And if you are a terrible chef, its ok, everything will taste deliciously sweet? 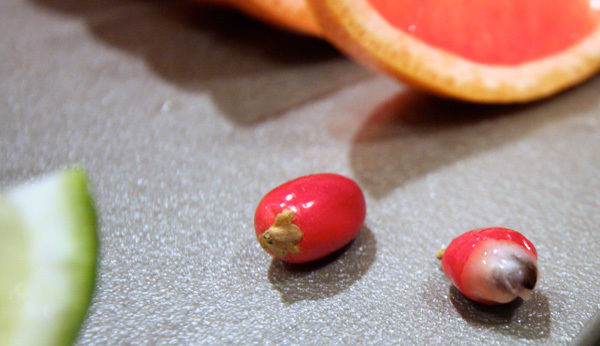 As for tracking some down ~ visit my friend’s friend that hooked me up with these juicy magic berries over at Miracle Connect ~ it’s a work in progress!… and for all your NYers, you can apparently pick them up directly from them. miracle fruit? its amazing taste it and prove it…. after experiencing the magic of this berry, I can’t get it off my mind. i wanted a plant to grow and share its magic to everyone i know. hope i could surf some more info on how to grow this plant. wish me luck! There is a huge benefit that you all are missing to this fruit. As I understand it when cancer patients go through chemo all the foods they eat taste like metal. This makes a lot of cancer patients stop eating. If they have this fruit before they eat it makes the food edible again. If you grow these fruit please find a cancer patient to give them to. I am trying to grow them now in larger quantity to give to folks with cancer in south Florida But not having the best of luck yet. I will get through the educational stage of this and will do this for these patients. To the guy who stated “this it the dumbest thing I have ever seen” I guess you are wrong. 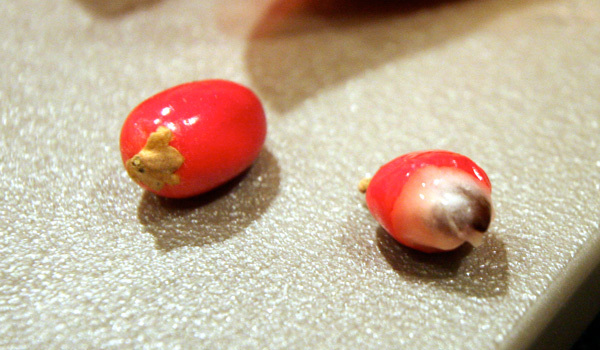 If you are a cancer patinet and want more info on this please search “miracle fruit and cancer” and it will come up. If anyone has cancer in the West Palm Beach area please E-mail me and I will try to hook you up with some fruit when I get more. E-mail MMM386@bellsouth.net. Please put in subject line miracle fruit so I don’t delete it or if it goes to my sapm file I will see it. They really are a wonderful fruit if you need them or for the fun! Thanks and Good luck! I love miracle fruit. My favorite thing to try is Guinness beer. So good! I saw the episode on magic berries on CSI. I have a question, will it help me to eat my vegetables? I absolutely dispise it! Will it make it sweet tasting? 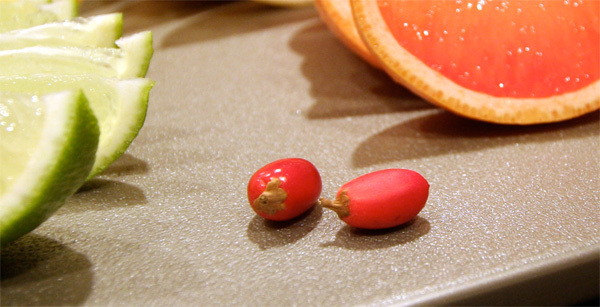 It’s amazing how miracle fruit works. We think that what we taste everyday is real, but we’re really so dependent on our subjective senses. I live in Waterloo, Iowa. Is there a local store where these berries can be purchaced? Interested in the effects of the berry and visibly seeing the effects people have with different food? visit http://www.MiracleFruitHut.com where you can find a video of people trying the fruit out with various foods and drinks and also a supply for the berries, tablets and plants in different sizes! never ate that many lemons wedges in my life. Have anyone try with apple cidar vinegar(acv)? It’s sweet! Perfect for people wants to be on acv diet. There is no burning in your throat, go down smoothly. Never had a chance to try the actual berries, only the tablets. I’m not sure which is stronger, but the tablets lasted me about 25 minutes. I’ve ruined my fair share of a few beers and wines, but I’ve really dug grapefruits, limes, lemons, and even hot sauce. Haven’t heard any first-hand accounts of the effects on body fluids…must be grounds for scientific research. I’d like to try the baked goods they have at miracle fruit cafes in Japan. It may be a while before that catches on here. Hey Kid’s, I purchased Miracle Berry seeds 6 years ago, and out of 50, I have 2 Gorgeous plants, or should I say bushes. I gave some away, killed some (forgot to water), moving, divorce, and on and on. I was dragging these guys around with me for a few years before finally settling down. I also grow, and Hybridize orchids, plus collect all kinds of strange plants. I live in South Florida, and it’s very close to the growing conditions for the Miracle Berry’s origin. I have to say, they take a very long time to grow from seed. There’s a slow germination, up to 2 - 3 weeks, and from there you’ll get a 3 inch plant, with just a few leaves. This little plant stays that way for up to 2 years, before it takes off growing again. For the longest time I couldn’t figure out what I was doing wrong when these plants did nothing. Skinny looking 2 - 3 inch stems, with 2 to 3 leaves on top. Then they just stopped?But when they were ready to take off, boy, they did! They like it on the acid side, damp, not soaking, but give them water! The high humidity here in S. FL, does not faze them, I get fruit at least 3 times a year, maybe more? Insects do not bother the plants, but snails can eat the soft tissue from any new growth. I think they would do good as a house plant, give them plenty of sun, and do not freeze. My plants seen 42 degrees with no affect on them. I have many other tropical’s, where the cold snap did do damage to some. Right now (10/11/08) they’re flowering, getting ready for set fruit. I expect fruit in a month to two, then continuing bearing for at almost 2 months. Not sure exactly? I will pay closer attention to them now, as I have started more plants from seed, that I plan to sell. I might try some cuttings also, after this fruit season. If your planing a party in a few months, and want some Miracle Berry’s, email me. I’ll keep you posted on their progress, give you a time frame, and with pictures if you want. Just let me know how many Miracle Berry’s needed, I’ll keep a list, first come, first served. I bought some Miracle Fruit berries from miraclefruitworld.com…they had great prices, fast shipping, and helpful customer service. Of all the places I looked at- these guys were the best. They also have great special offers!!! They also recommend certain foods to try with the berries for a crazy experience…Check them out! Hi all, I would just like to state to those who arent aware, the miraclefruithut has recently under gone new ownership. We have many returning customers and as the new owner i would like everyone to know we strive to ship out our products so you recieve them on time and look to keep good communication with our customers. We sell the plants and also in a tablet and the berry form at some of the best prices on the net. We have purchasers world wide and we hope that everyone can try the wonders of this miracle fruit. where do you buy these majic berriesw at? Hey everyone I had the greatest taste every, try coffe or cheese … amazing .. take a half tablet and get to eating and drinking, its great evenm though it only last for about 6 hrs .. I bought my tablets from www.miracleberrypill.com you will be happy you tried them! does anyone know where i can buy these miracal berries ? 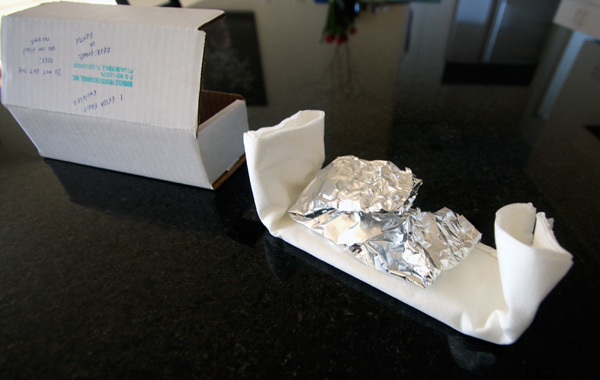 I was delighted with the service and i will order again! They also have some great recipes and great support in different languages. Now all my friends from Spain can buy directly, and I don’t have to resell. I bought tablets from here without issues, but it’s been a month since I ordered my berries. I’ve tried contacting the vendor, but have not gotten a response. So..
Having lived in Jamaica in the 70’s I learned of a Majic fruit plantation up in the bush close to Ocho Rios and one day I learned the REAL story of from the people that brought it from west Africa to Jamaica whos main Idea was to market it to the diabetic market ,but to make a long story short the sugar lobby and sacccarhin lobby and the FDA killed it with wanting them to tests that would take it to the food addative category ,which was where they wanted to place the product.Not having the 2 million$ they soon folded. this is info from the man a fellow Mass. resident who was the original plantation owner in Jamaica. Had not heard much until I saw an interview with some guy who wrote a book about the miracle fruit story and has a good imagination but no FACTS. Great fruit ,great potential, GO FIGHT THE BIG GUYS ITS TOO GOOD A PRODUCT NOT TO BE MORE THAN A GOOFY PARTY. I bought the tablets through these guys. The tablets are cheaper and do the same thing. Hey guys, this really is one amazing berry :) Excellent stuff! got mine from http://www.synsepalum.com together with a list of foods and recipes to go with it! Oh, one of my friends (everybody else, 100’s, had nothing against the taste) also told me she did not like the taste of the tablets but the fruit itself has a very similar taste as well… She enjoyed the fruit though ;) It’s worth giving it a shot! I got mine from Miracle Fruit World , and lemons really taste sweet! I used some of their recipes as well, it’s a really good service they offer! Highly recommended! Hello I’ve just tried the tablets (berries out of stock)and i hated it.. a realy sickley sweet flavour.. is the taste the same with the actual berries.. if so i’ll try cancel my order? I tried these this weekend and they do work, i bought them in tablet form from http://www.twistedtaste.co.uk , I think the best food on these fruits is salt and vinegar crisps they taste unreal!! Try them trust me!!! Thats very intrested. I have been purchasing the fruit for quite some time now, and I had the same effect as you. I read alot of people above and got a couple of boxes of miracle fruit from Miracle Fruit Hut, since it was the cheapest there. Cant wait for it to get here, but has any one had any expirence with the tablets? I hear they are better no? you can get miracle fruit tablets, seeds, and plants at www.miraclefruittab.com for low price. They have all of these products in stock and ready to ship out worldwide. 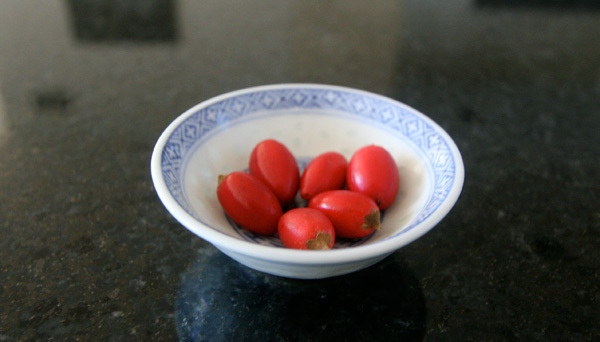 Hi, with the full on craze about this wonderful miracle berry, we tried to buy them, we did and found them to be great!! Also tried the tablets as they are easy ship, not bad either, as we manufacture herbal supplements, we decided to produce our own brand in clean, FDA and GMP standards factory. We are now about to release miracle berry taste strips that melt on the tongue. So, if you want some to try or start your own business, visit www.good-diets.com and have fun! My husband and I have been growing the Miracle Fruit for years. Ever since the article came out, it NOW gets the rightful attention that this bizarre little fruit deserves! I have another huge batch of berries that will be ripe in about 2 weeks. It’s first-come-first-serve at $3.00 per berry plus $35.00 overnight shipping within the lower 48 states. If you are interested in reserving an order for the berries please email me. Payment is through PayPal only. does it have negative effects to persons with diabetis?? I wonder if it would help with Calea Zacatechichi tea? For example, this Erowid report should tell you something about the taste http://www.erowid.org/experiences/exp.php?ID=51597 (not about the effects though). That sounds amazing! Where can I get some?!?! Angelo - you can get miraculin which is the extract of the active ingredient in miracle fruit from http://miracleUK.info/. They ship worldwide. That would have been pretty interesting. I need to get some!! Where can u order them????? I loved the guiness, myself. 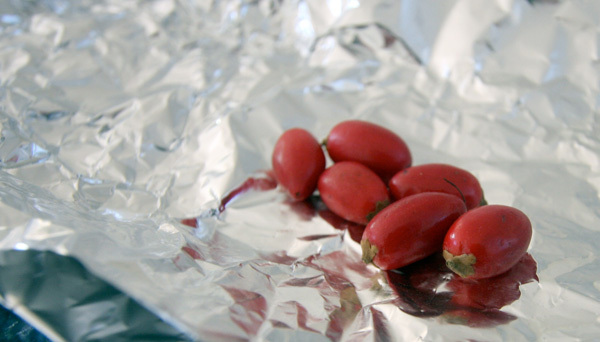 The thing about miracle berries is that they contain a protein that binds to your sweetness receptors and causes them to be stimulated by acidity. Even though beer doesn’t taste sour, it contains acids, so it’s more sweet after miracle berrying. Sort of ice cream shake like. 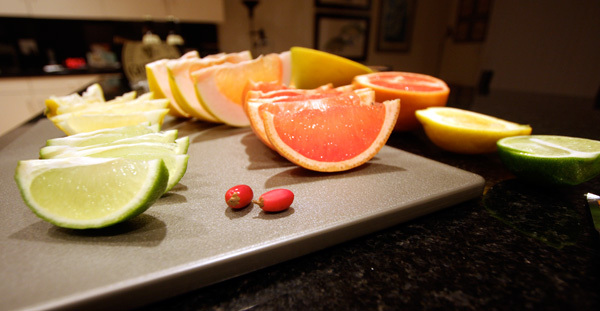 Though it might interest you that we’ll be hosting a large miracle fruit tasting party in NYC on March 1st. wow fruit induced synasethsia anyone? Im wanting some of these berries! You wouldn’t call a fine Guinness bitter or sour, would you?? ?